It’s January, and here in the northern reaches of North America we don’t expect to find flowers blooming. And yet one plant in my garden is trying to do just that: Helleborus niger, commonly called the Christmas rose. It blooms at Christmas for gardeners in Great Britain. They were the ones who named it. My Christmas rose starts budding up in November. This is a particularly early-blooming form of Helleborus niger called ‘Thanksgiving Bloom’. It probably would have been blooming on the U.S. Thanksgiving Day, except there was snow piled on it by then. However, in the past week we have had a thaw–above freezing temperatures and several days of rain. The flowers are still there, and I think perhaps they have opened a bit more. I think the buds are a little more open, but a little more prostrate. Above-freezing temperatures are predicted for the next ten days, so I just may see these blossoms open. In January! The nursery that sold me ‘Thanksgiving Bloom’ is no longer in business, so I can’t point you to a source. In general this hellebore species blooms either very late fall or very early spring–what would be equivalent to December in Great Britain, weather-wise. Even hybrids that have H. niger in their parentage will bloom much earlier, so they are worth seeking out as well. It is hardy to USDA Zone 3 and likes well-drained soil with lots of organic matter. It is more slow growing than many spring-blooming hellebore hybrids, so be patient. Mine was transplanted from the old house in 2012. I almost lost it, and it has finally regained its former health. 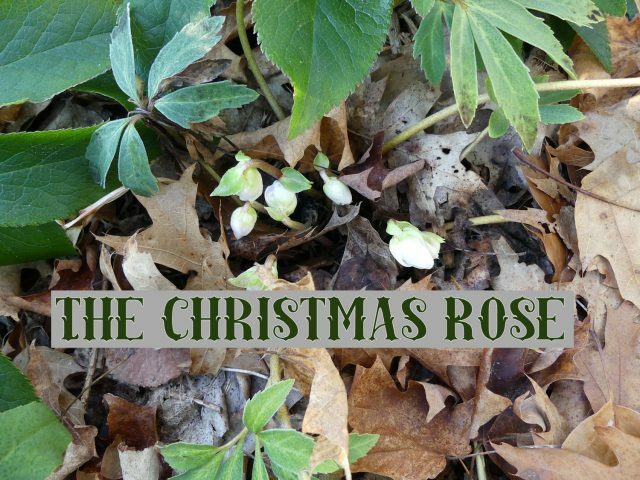 The Christmas rose probably won’t bloom for you at Christmas, but it will bloom earlier than any other plant in your garden, except maybe snowdrops. How wonderful for you Kathy! Now that’s a flower definitely high on the list of keepers. I think I’ll add more hellebores to my garden, too. Hope you’re seeing those blooms as I write this! 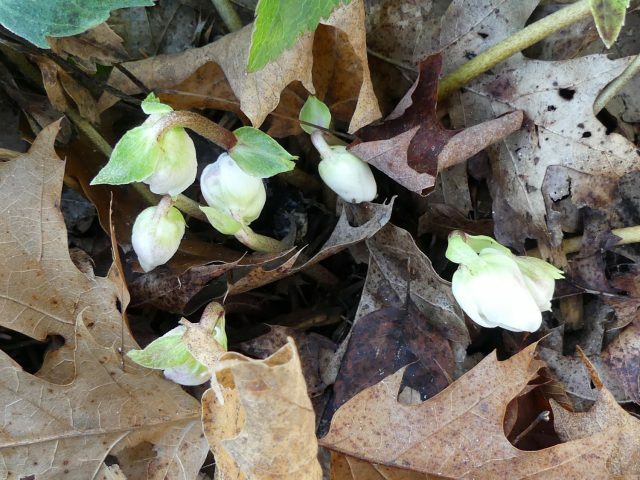 I was outside in yesterday’s 50 degree weather to cut back my hellebore foliage, thinking to get to it for once before the new growth emerges. I was surprised to find the blooming shoots coming up already on nearly all of them. Not enough to interfere with my job luckily, but the blooms already clearly visible. 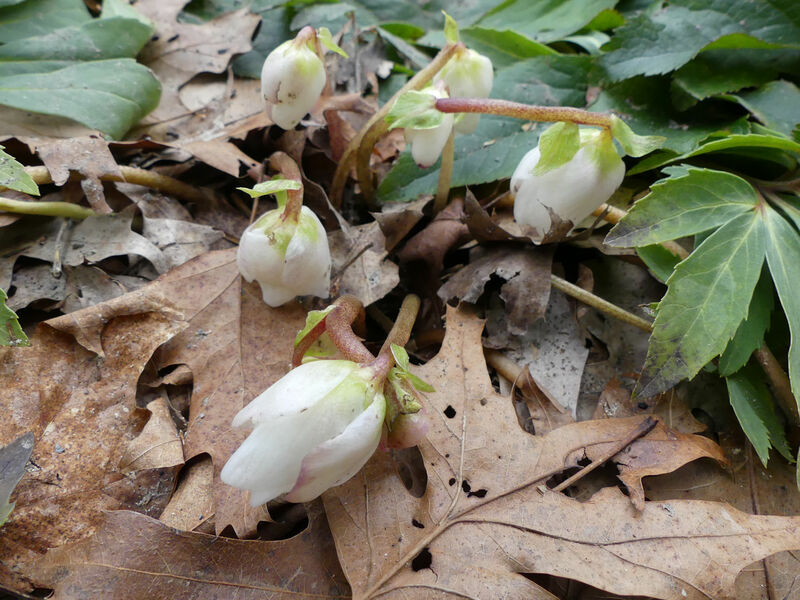 So a January thaw will bring you blooming hellebores of all types, not just H. niger. My early primulas are greening up also. Mind you, they’ll probably all be buried under a foot of snow next week, but it was lovely to see them. I’m stunned. I never dreamed we could have hellebores blooming here in January – or thereabouts. I will finally give them a try. Make sure it’s Helleborus niger, and don’t plant it anyplace where snow melts last–like where snow gets piled from shoveling. And it is, of course, a crapshoot whether or not the snow will be gone. As Leslie pointed out, check out the HGC series of hellebores, too. My own hellebores are just coming out into bloom in my garden in the UK though “Christmas Carol” has been perfect since, well, Christmas day. There is such a choice and they seed themselves like mad. Occasionally a seedling rises to the challenge of its parent and that is a particular delight. Definitely a treat to have this coming up in January. If the weather holds I think you will see an open flower this month… which I think is a good thing, unless February comes in harsh and cold. I have had god luck with the Gold Series of J-named hellebore blooming in winter in CT. Right now I have Joshua and Jacob in flower.